FET cycle #2 is underway. I can’t believe it’s been over 3 months since my last transfer. It’s been a long wait, but looking back it still feels like yesterday. It was probably a blessing having this time to recooperate and re-organize. I also began to have weekly acupuncture too and it’s recommended to start a few months before transfer. I’ve had a lot going on in my personal life too with my rental property that had me over stressed, and its much more managable now. I’ve had to do so much cleaning and painting,I’m glad I don’t have to do that during my cycle or pregnant! I’ve also been seeing a therapist so I can talk about my stress and anxieties and hopefully learn how to deal with my emotions more proactively then just let it all build up until I crack! lol. I kind of hate going to my therapy appointments because I know I’m going to have to talk about my problems and feel vunerable and ugh just deal with all the ugly I’d rather brush under the rug!! Plus it’s almost holiday time!!! So if this cycle works I’ll be pregnant before Christmas and the due date would be just a couple days before hubbys in August. Hubby and I have to go down to the clinic and sign a thaw consent form soon, apparently they’re only good for 3 months. CD 10 is my first doctor visit of the cycle, I’ll have blood work and ultrasound. Then after that I’ll have daily blood draws until the surge is detected. After that, they thaw the embryo and five days after ovulation they will transfer 1 beautiful blastocyst. Hopefully this time they wont make me do a million ultrasounds, they said 1, but last time I had 5 because they kept wanting to check the follicle and lining. I still haven’t even told my work I’m doing fertility treatments. I told them that I see a specialist and I occasionally need “minor surgical procedures” which is very true, but not specific. I’ll only need 1 day off for transfer, and if it lands on a wednesday or weekend I wont need to miss work at all! I do all the blood tests at a Quest (blood draw lab) just a mile away from work right before I come in. I’m guessing my transfer will be Dec. 3rd and beta 9 days later on the 12th. Ill be finding out if I’m pregnant about the same time my youngest sister will be giving birth! I’m really loving acupuncture, and a long with yoga and meditation (Mindful IVF app) I’m feeling really good, I’ve got my red raspberry leaf and ginger tea for the follicular phase, dandelion for post ovulation. L-arginine supplements, baby aspirin. I’m also doing castor oil packs, TENS unit fertility massage, getting 8 hours of sleep! I’m feeling so healthy I love it.. I am soooooo ready for this!! I’m really really hoping,praying that this transfer will be our take home baby! I’m pretty confident too… Its been such a long road I don’t know if I can keep going much longer! 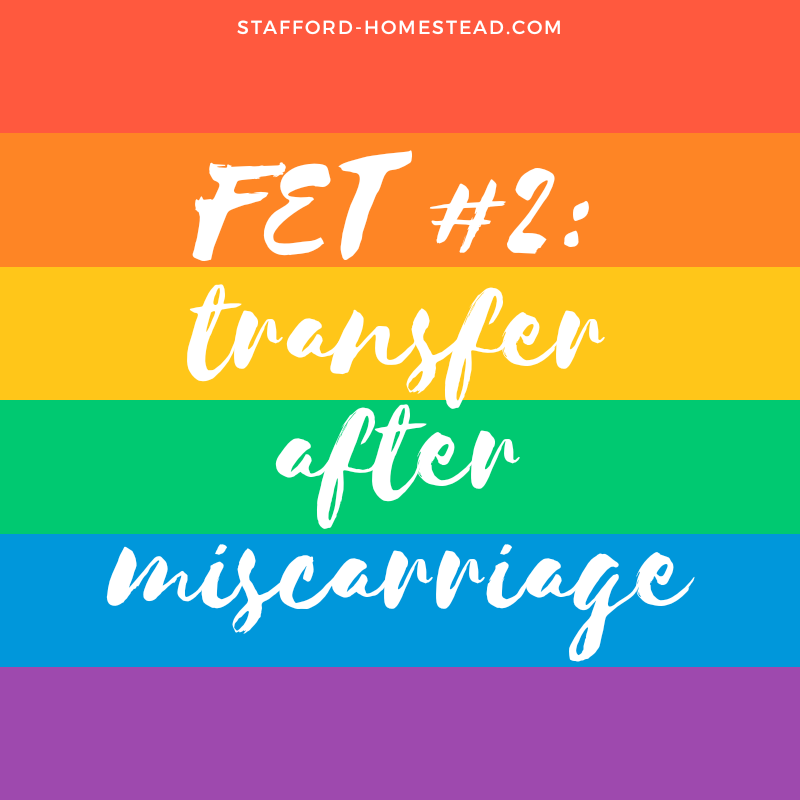 Previous A Natural Pregnancy following IVF Miscarriage? Or More Infertility Torture? Next IVF: How Seasons May Affect Retrieval, Conception, and Live Birth. I hope this cycle is the one where everything works out for you. Good luck! So sorry you had a miscarriage. I’m in the exact same boat as you, down to the work details. How did it go?